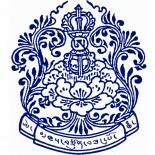 The Khetsun Foundation was established in 2008 to support the ongoing work of Ven. Khetsun Sangpo Rinpoche, his dharma heir Kangyur Tulku Jigme Norbu Rinpoche, and the monastery known as Pal Ngagyur Shedrup Döjö Ling (Nyingmapa Wishfulfilling Center for Study and Practice) in Sundarijal, Nepal. Khetsun Sangpo Rinpoche, who entered parinirvana in December of 2009, was an accomplished ngakpa practitioner and respected scholar in the Nyingma tradition of Tibetan Buddhism. The Foundation also supports the dharma education and development of US students of Khetsun Sangpo Rinpoche and Tulku Jigme Norbu Rinpoche through periodic teaching tours. The Khetsun Foundation is governed by a Board of Directors, which includes representatives from both Nepal and the United States. It is registered as a 501(c)3 charitable organization for US tax purposes. To learn more about Pal Ngagyur Shedrup Döjö Ling, please visit the monastery’s website.